WHAT: Bandidas will donate 100% of the profits from food and drink sales to RAVEN Trust on National Indigenous Peoples Day (June 21, 2018), and launch a mult-artist Art Show. We've wanted to mark NIPD at Bandidas for many years, but have struggled with how best to execute an event. As white business owners, we’ve often felt unsure of how to be effective allies, and the desire to do things perfectly can often keep us from acting. With our growing partnership with RAVEN Trust (an organization that raises legal defence funds for indigenous people), the community engagement we’ve experienced through our Earth Day fundraisers, our increased connections with indigenous groups, and the critical timing of the Kinder Morgan case, we feel better able to act. Our Earth Day fundraisers the last couple of years have supported two RAVEN Trust campaigns: Pull Together (to stop Kinder Morgan) and Step up for Coast Heroes (for reparations for the 2016 oil spill in Heiltsuk waters). For NIPD, we will donate 100% of our profits to the Heiltsuk campaign again. Customers are invited to donate alongside us by adding donations to their bills at the restaurant or donating directly through our team pages--Stop Kinder Morgan & Heiltsuk Campaign--to get a tax receipt. The Heiltsuk Nation is still dealing with the aftermath of over 110,000 litres of oil spilled in their waters in October 2016 near the remote community of Bella Bella on BC’s central coast. The cleanup was not prompt or thorough, and the devastation will take decades to fully recover from. 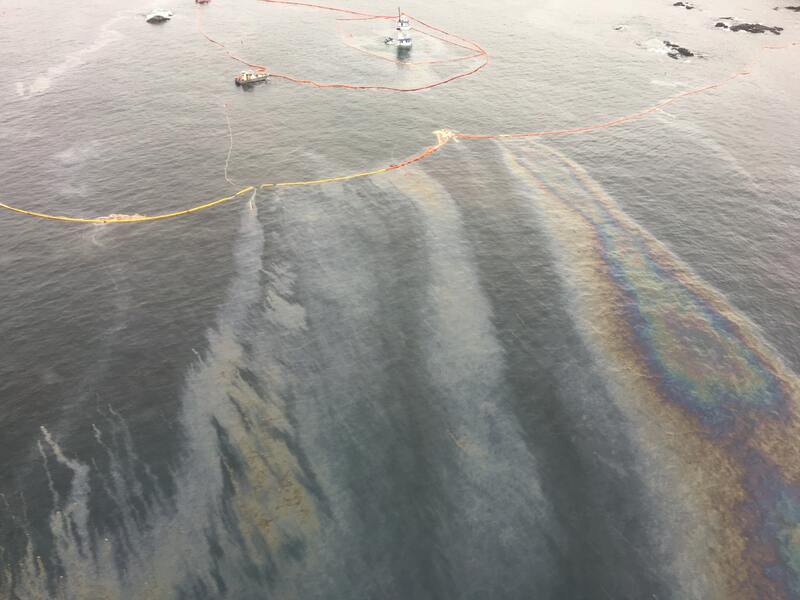 The Heiltsuk people are taking legal action in order to recover damages to their economy, environment, and way of life, and to provide an in-depth examination of the state of Canada’s oil spill response program. If this case is successful, the oil company at fault will be held financially responsible for the full extent of damage, and major lasting changes will be made to Canada’s spill response policy--including the addition of required indigenous consultation and health impact assessments. These policy changes will be even more critical if tanker traffic increases (ie. in the sad event that the Transmountain pipeline expansion goes ahead). The Heiltsuk Nation are proven leaders in environmental issues. They were one of the Nations that successfully stopped the Enbridge pipeline, and are currently equipping their own people to be first responders for future marine emergencies. Read more about the case here, and watch the videos below to hear from Heiltsuk leaders. The details of the art show are still unfolding, but we’ll have a variety of indigenous artists’ work on our walls, including many pieces from Heiltsuk artists living in Bella Bella. Huge thanks to RAVEN Trust for helping us connect with artists in Bella Bella who will show their work at Bandidas! Some pieces will be for sale, some for display, and some will sell under silent auction. Stay posted for updates as the pieces come in. Join us and RAVEN Trust in this effort by coming to Bandidas on June 21st for food and drink. Bring friends, and enjoy the artwork. If you’re not able to make it to the event, you can always contribute to our team pages--Stop Kinder Morgan & Heiltsuk Campaign--to get a tax receipt. They are open now and each have a fundraising goal of $10,000. Alternatively, at any time (not just on our fundraising days) you can ask your server about adding any donation amount to your bill. Thank you to all of you who are on this journey with us--to those who are already doing the work and those who are learning with us.